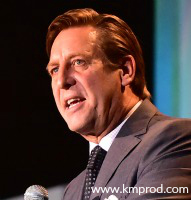 In 25 years of performing, he's polished his act to the highest levels of professionalism, delighting audiences at conventions, corporate events and trade shows. 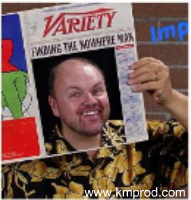 Clark can customize his show with original material for any audience or corporate/conference theme. He's also quick to develop a rapport with the crowd with his improvisational banter and innovative audience participation routines. 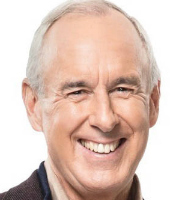 Clark Robertson combines 25 years of stand-up comedy expertise with Don Cherry’s looks, voice, and style, to give you a hilarious Canadian icon to entertain your guests. Have "Don" as a host or emcee for your next Golf Tournament, Gala, Convention, Sports Banquet, or Hockey Fundraiser. When Don Cherry hosts your event ... people listen! Same in your face attitude! With his eclectic array of props and razor-sharp comedic timing, Clark's high-energy entertainment will be the highlight of your convention. 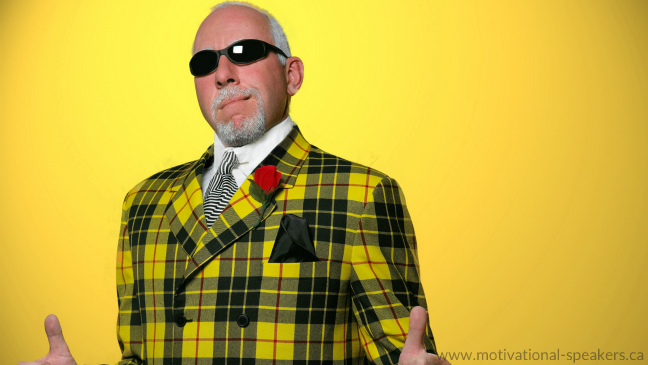 For more information, fees & booking Don Cherry impersonator, Clark Robertson, contact us. For a marvellous evening of relaxation tipped with funny, laughable, hilarious entertainment, I highly recommend Mr. Robertson's show to young and old alike! One of the funniest, most enthusiastic entertainers I've ever encountered. –Potash Corporation of Saskatchewan Inc. Thank you for making our 27th annual banquet a huge success.I have received numerous comments that you were hilarious and entertaining. Clark obviously has a great talent for matching the evening's entertainment with the crowd, and I believe that this was part of the reason for our sold out event. Your comedy routine was both entertaining and funny. I would certainly recommend your act to any organization. Your performance was extraordinarily well received by all 200 participants, including our executive. A week later and I am still receiving positive remarks.